Nigel Lythgoe is back on American Idol and wants Paula Abdul back too! English television director, So You Think You Can Dance judge and former American Idol executive producer Nigel Lythgoe has confirmed that he’s returning to the show and he wants Paula Abdul back. 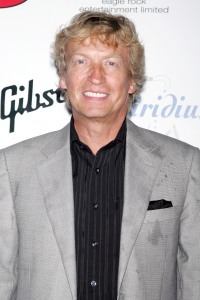 The rumors are still flying about potential replacements for American Idol judges including singer/actress Jennifer Lopez and Aerosmith singer Steven Tyler, but Lythgoe claims he won’t be a judge. Nigel Lythgoe had some problems with last season on American Idol and felt that the chemistry wasn’t there. He promises to focus more on the singers in season ten and less on the judges. Kara DioGuardi is fired from American Idol! American Idol: Who will be the next judge?